On Thursday, March 21st our director rolled up her sleeves and showed the families and staff members how to prepare a healthy delicious meal. Ms. Rouse talked about the importance of incorporating fresh vegetables and fruits into each meal. She also emphasized the importance of eating "whole foods" foods that were closest to their natural state. Ms. Rouse dispelled the rumors about eating healthy being more expensive, all the ingredients in the dish that was prepared were less then $10. She talked about how to be a good healthy example to their families and how making simple healthy choices daily would result in dramatic changes down the light. 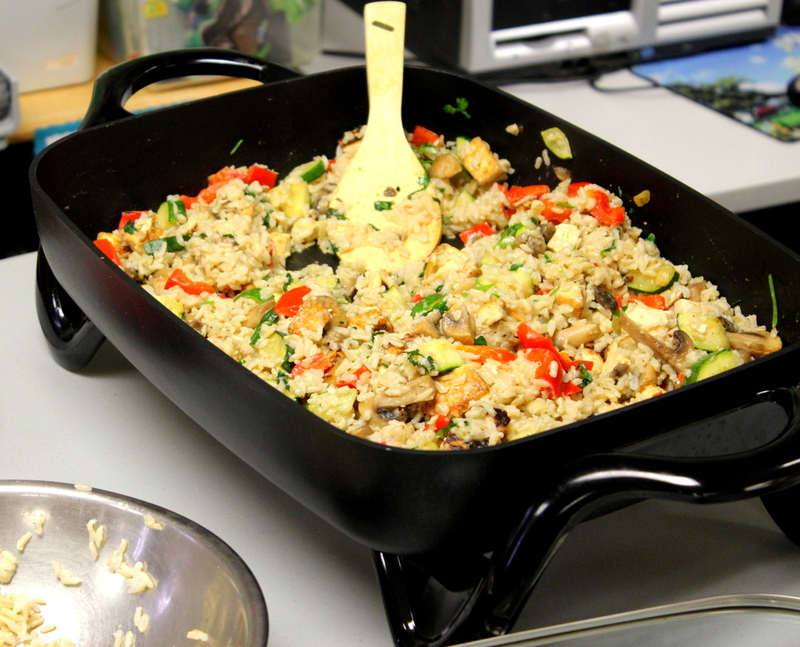 The dish that was prepared was Vegetable Brown Rice Risotto.